Looking for any information on Henry Brierton, who married Jane Mcbarth in Switzerland County, Indiana. He owned land there. He had a son named Samuel. Henry was supposed to be from Wales and born in the 1700s. He is a rascally rabbit, genealogically speaking. Samuel later moved to Brown County, Illinois. Are there church records that I might check? I cannot seem to get them online. John Brazill Stinson, resided in Vanderburgh County, Indiana; Buried in Oak Hill Cemetery, Evansville, Indiana. Served in the War of 1812. His son, John Bazel Stinson was born in Vanderburgh County, Indiana, 23 May 1835; died in Denison, Grayson County, Texas, 1919. Any information appreciated, and I will be willing to share my 50-year research database. This database includes Bloomington-area veterans, widows, and children, as found on an 1883 federal government list of pensioners. Service was for the War of 1812 through the Civil War. IGS members can access these resources when they log in. Not a member? Join now! Fifty members who founded what was originally known as Sand Creek Church, as abstracted from a 75th anniversary booklet. 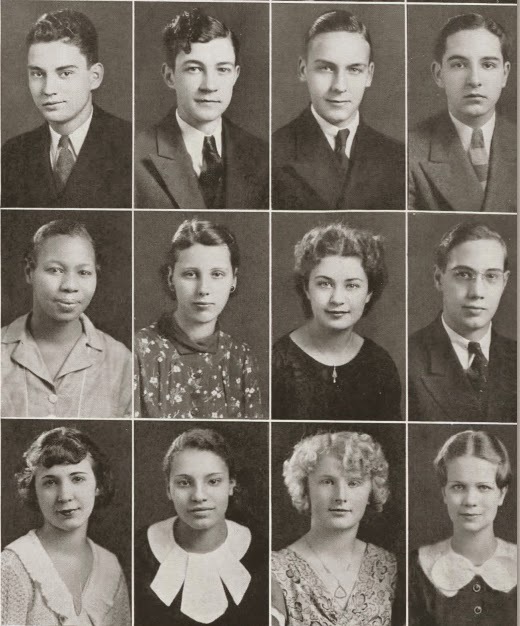 Searchable digital images from the school's 1935 yearbook, The Cactus. The yearbook includes information on grades 7 through 12. Searchable digital images from the school's 1951 yearbook, Athenian. The yearbook includes information on grades 10 through 12. Indiana's only juvenile reform school had its own commissioned high school. See the names and class of 230 boys who graduated from it, as abstracted from commencement programs. This database includes 400 students at one of the state's largest institutions for training to be a teacher, as listed in a student directory for the 1940-1941 school year. Includes name, class, and hometown. This database includes 575 young men and their home states (ranging from Alabama to the Idaho Territory), as abstracted from the school's annual catalogs for the 1876-1877 and 1877-1878 school years. This database includes 400 students at one of the state's oldest evangelical Christian colleges, as abstracted from the school's annual catalog for the 1954-1955 school year. Includes the student's name, class, and hometown. From Marion High School Seniors, 1935; The Cactus yearbook. Indiana House Bill 1001 – the State Budget Bill – includes a proposed 24% cut in funding to the Indiana State Library. According to State Librarian Jacob Speer, the proposal includes elimination of the Genealogy Department at the State Library and a 10% reduction in ISL staff. As Speer points out, the Genealogy Department at the Indiana State Library has more than 100,000 items devoted to Indiana, states from which Hoosiers came, as well as some foreign countries. Many of these holdings are not duplicated at the Indiana Historical Society, the Indiana State Archives, or the Indiana Historical Bureau. In addition, the Indiana State Library serves as the "genealogy destination" for patrons of the Indianapolis Public Library (IPL), as IPL made the decision not to have their own genealogy collection. Almost half (49%) of the reference questions that come to the Indiana State Library are for research from the Genealogy collection. It isn't hard to imagine an increase in the number of people who will be researching their Indiana heritage and local history as we approach the State's bicentennial next year, especially with the state's plans to attract people to "come home to Indiana." We encourage Indiana residents to contact their state legislators and members of the House Ways and Means Committee and weigh in on this important issue. You can locate contact information for your state legislators here and the House Ways and Means Committee here. People outside of Indiana can contact Rep. Timothy Brown, Chair of the House Ways and Means Committee. Those dollars that you spend in the state while you're researching at the Indiana State Library add up. You can find State Librarian Speer's analysis here. You can find the full State Budget Report here. The Indiana Genealogical Society now has 1,437 databases in the Members Only area. Each of Indiana's 92 counties has at least 5 databases. NOTE: The Indiana Boys' School was a state correctional institution established in Plainfield, Hendricks County, Indiana in 1867 to reform male juvenile offenders. The Indiana Genealogical Society now has 1,438 databases in the Members Only area. Each of Indiana's 92 counties has at least 5 databases. The Indiana Genealogical Society now has 1,436 databases in the Members Only area. Each of Indiana's 92 counties has at least 5 databases. The Wabash Valley Genealogy Society will hold a free introduction to genealogy workshop on Saturday, January 24 from 1:30 to 3 pm at the Vigo County Public Library in Terre Haute. Participants will be introduced to genealogy by Loran Braught, founder of the Wabash Valley Genealogy Society, and David Bonnett, longtime leader of the Wabash Valley Genealogy Society. They will give suggestions on how to get started researching and documenting your family history, how to gather information and how to avoid common pitfalls. You are encouraged to ask questions. This workshop is free and open to the public - if the library is closed due to bad weather, the workshop will be rescheduled to Saturday, January 31 from 10:30 am to noon. For more information, call (765) 569-5935. The Marshall County Genealogical Society will meet on Tuesday, January 20 at 6:30 pm in the conference room of the Marshall County Historical Society Museum in Plymouth. Karen Rettinger will lead a discussion of her research into the real-life residents that were characterized in The Queen of the Huckleberry Marsh, a book published by Adelbert Knott back in 1879. The Indiana Genealogical Society now has 1,434 databases in the Members Only area. Each of Indiana's 92 counties has at least 5 databases. The South Bend Area Genealogical Society will meet on Monday, January 26 at 7 pm at the Sunnyside Presbyterian Church in South Bend (115 S. Francis St., South Bend IN). Barbara Cook will present a program on the "orphan trains," which brought homeless or destitute children from the East Coast to foster or adoptive families in the Midwest. For more information, please contact Alice Clark (c.alice@sbcglobal.net). This meeting is free and open to the public. The Indiana Genealogical Society now has 1,433 databases in the Members Only area. Each of Indiana's 92 counties has at least 5 databases. The Allen County Genealogical Society of Indiana's Genealogy Technology Group will meet on Wednesday, January 21 7 at 7 pm in Meeting Room B of the Allen County Public Library in Fort Wayne. The meeting is free and open to the public. The Indiana Genealogical Society now has 1,432 databases in the Members Only area. Each of Indiana's 92 counties has at least 5 databases. The Genealogy Center of the Allen County Public Library in Fort Wayne will hold a free class on how to use free search engines that are genealogy-specific on Wednesday, February 11, 2015 from 3 to 4 pm. Delia Bourne will discuss how to use Linkpendium and Mocavo. Genealogy group Twigs from the Tree of Life will meet on Tuesday, January 27 at 7 pm at Christ the King Lutheran Church in South Bend (17195 Cleveland Rd., South Bend, IN 46635). Instructors Lin Irish (linlirish@sbcglobal.net) and Alice Clark (c.alice@sbcglobal.net) will discuss Ancestry.com - bring your questions! The meeting is free and open to the public. The Indiana Genealogical Society now has 1,431 databases in the Members Only area. Each of Indiana's 92 counties has at least 5 databases. The Marion County Historical Society will take a guided tour of the Crispus Attucks Museum in Indianapolis on Saturday, January 31 from 2 to 3:30 pm. The museum is located on the campus of Crispus Attucks Medical Magnet High School (1140 Dr. Martin Luther King Jr. St., Indianapolis, IN 46202). The museum houses memorabilia from Indiana's first all African-American high school and has 4 galleries and over 70 exhibits. Exhibits range from school history and student achievement to local, national and international history. The tour is part of the society's monthly meeting and the public is welcome. The Allen County Genealogical Society of Indiana will meet on Wednesday, January 14 at 7 pm in Meeting Room A of the Allen County Public Library in Fort Wayne. Curt Sylvester will present a program on how each of us can write our own family history as a gift to future generations. The meeting is free and open to the public - at 6:30 pm there will be refreshments and social time. The Mishawaka Public Library (209 Lincolnway E., Mishawaka IN 46544) in St. Joseph County will hold a genealogy roundtable on Thursday, January 22 at 6:30 pm. Beginners and experienced researchers alike are welcome to come chat about their family history research. For more information, please contact Deanna Juday (d.juday@mphpl.org). I am trying to find the death record/obituary/death certificate for Abner Venard, my 4x great grandfather, who died in Montgomery County, Indiana on Nov 9, 1857, and is buried in Finley Chapel Cemetery. I called the Dept. of Health, and they said they only have death records from 1882 to present day. Do you have any leads that would help me to find this information? I am trying to prove that Abner was the son of Thomas Venard, a Revolutionary War veteran, for my membership in the DAR. Any help would be greatly appreciated!